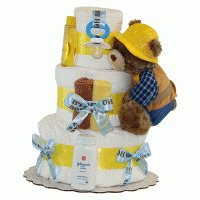 Why monkey around...buy this baby gift! 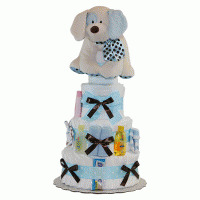 Five Little Monkeys Baby Gift may be just the thing you're looking for to welcome a newborn baby boy or girl. 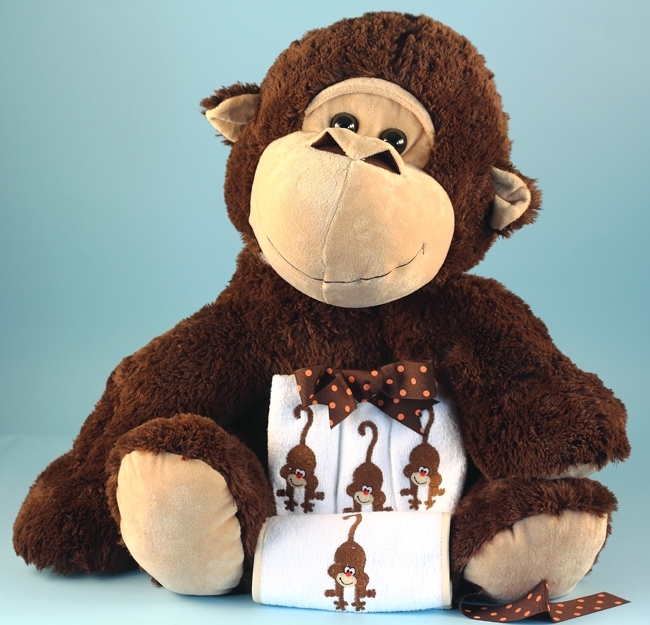 This playful and unique baby gift includes a giant 30" plush monkey that is as soft and cuddly as it is large and impressive. 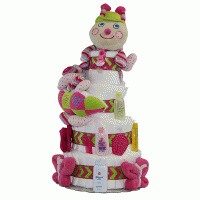 Imagine the fun baby will have growing up with this fabulous plush playpal. 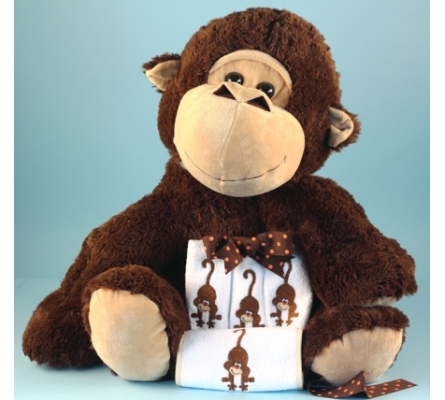 Also included are four layette items for baby (bib, burp pad, 2-washcloths), each made in the USA from domestic cotton terry fabric, and each beautifully embroidered with our adorable "jumping monkeys" design. So even if one of the little jumping monkeys falls off the bed and hits his head as the song goes, there's the wonderful giant plush monkey to soften the blow!